Idea Cellular, India’s fastest growing telecom operator has announced the roll out of ‘electronic – Know Your Customer (e-KYC)’based activations for both Prepaid and Postpaid customers across its service centres in 22 circles. The pan-India roll-out of e-KYC has been enabled after the successful pilot by Idea in Delhi circle, in association with UIDAI, and as per the DoT guidelines. 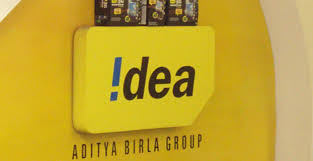 The facility for enabling biometric verification of customers is being rolled out across all exclusive Idea stores, and will be extended to multi-branded prepaid outlets, in a phased manner. Customers can now walk in to any Idea Company Retail Store or My Idea outlet and avail a fast, paperless and secured activation service for both postpaid and prepaid, using the Aadhaar No. and biometric verification process.